Kerry is using Smore newsletters to spread the word online. Thanks to Our MANY Volunteers! What a fantastic way to start a Friday! Thanks to our MANY volunteers. A few volunteers joined us this morning for delicious coffee cake and good conversation! 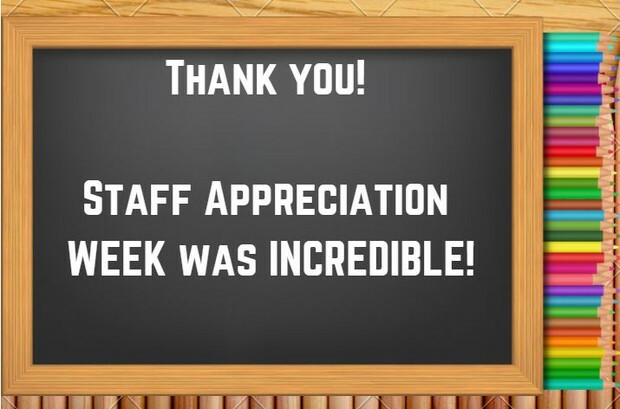 Our English Landing PTA Staff Appreciation Week Coordinators: Haley Stone and Stacey Schmidt did a FABULOUS job making us feel special all week! 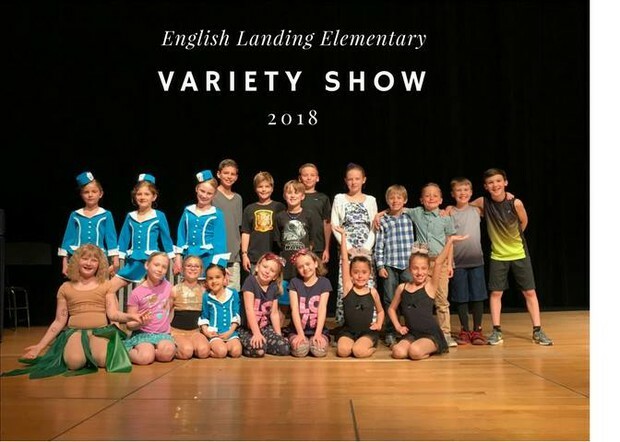 Thanks to our Eagles for participating in the 2018 PTA Variety Show. A special thank you to Mrs. Sheri Thomson for serving as our PTA Variety Show Chairperson. Mrs. Thomson donated many hours to this special event! Thank you! 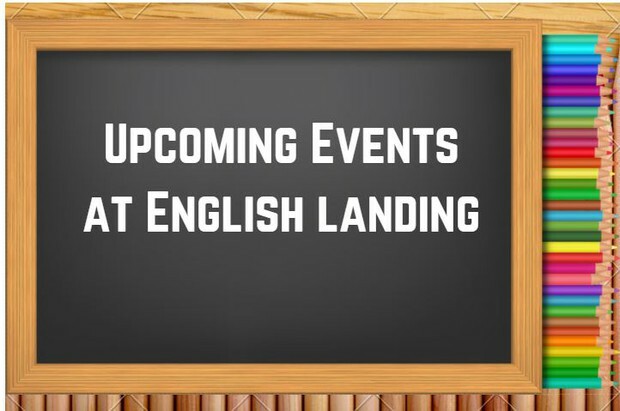 What's Happening at English Landing Elementary School? 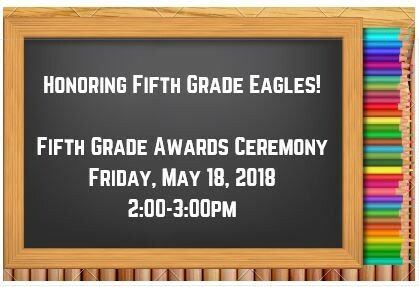 Fifth Grade Awards Ceremony (2:00pm) Please note: Parking will be available in the back parking lot as the front parking lot has limited spaces. 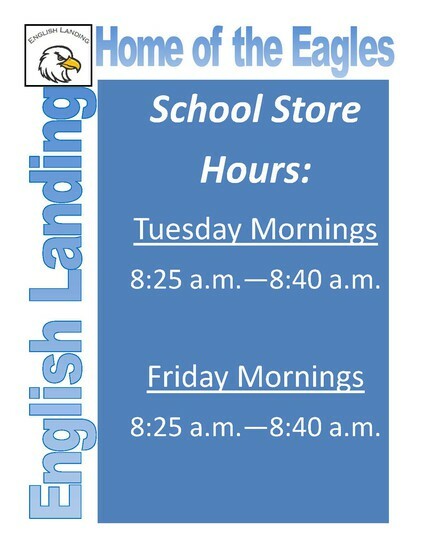 The fourth grade door will have a staff member providing entrance at this location between 1:40pm and 2:10pm. If you arrive at a different time, you will need to enter at the front entrance. Thank you! Fifth Grade Awards Ceremony is Next Friday! Please note: Parking will be available in the back parking lot as the front parking lot has limited spaces. The fourth grade door will have a staff member providing entrance at this location between 1:40pm and 2:10pm. If you arrive at a different time, you will need to enter at the front entrance. Thank you! You’re invited to the May 22 groundbreaking for our district’s new elementary school, Hopewell Elementary, which opens in August 2019. The event is from 10 a.m. to 12 p.m. at 68th Street and Waukomis Drive. Visit our district website to learn more about the new school and the other projects in our enrollment-based, long-range facilities plan. 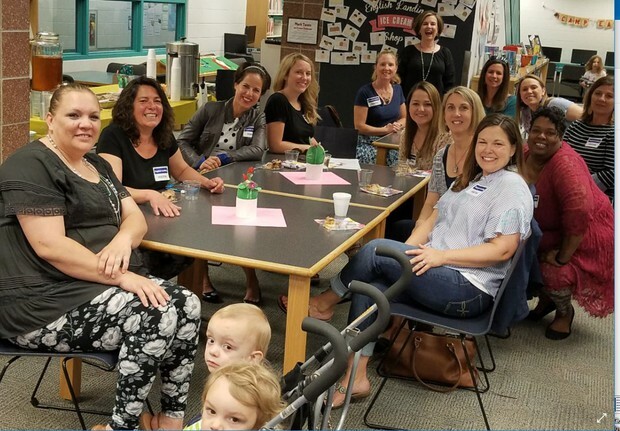 Did you participate in the PTA Reflections Program? 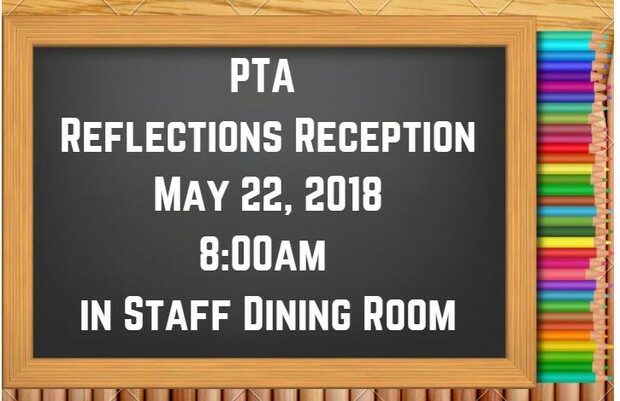 Tuesday, May 22, 2018 from 8:00am to 8:45am in the Staff Dining Room. Mrs. Andrews has coordinated our FEED Program for many years! The FEED Program stands for Feed Eagles Every Day! Mrs. Andrews transports backpack snack bags from the Park Hill Warehouse to English Landing so students who need additional food over the weekend or when school is not in session have something easy and healthy to prepare. This week Mrs. Andrews made her LAST delivery in this role as her youngest daughter is a fifth grade student at English Landing. Please help us in THANKING Mrs. Andrews for her time and assistance. Enroll Your 2018-2019 Kindergartner Today! 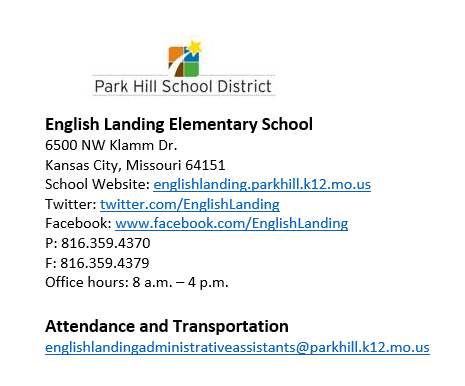 Families with children entering kindergarten in the Park Hill School District in August 2018 may enroll today online! Children who turn five on or before July 31 are eligible for kindergarten for the 2018-2019 school year. 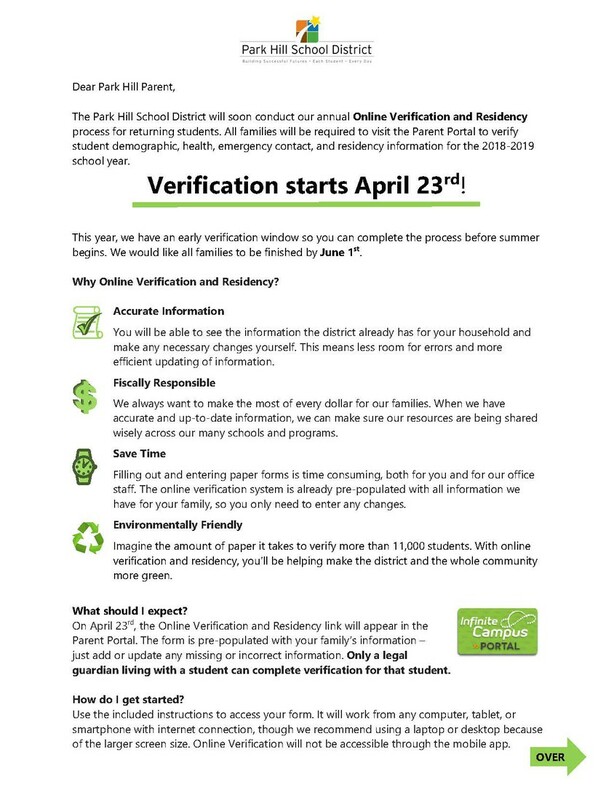 Verify Residency NOW for the 2018-2019 School Year! 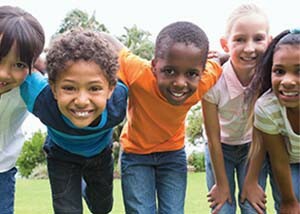 Park Hill Summer School is a free, fun, caring place for your child to learn during the summer. Students who will enter kindergarten through eighth grade in the fall will focus on a combination of academic and exploration classes. High school students can also enroll in summer school. 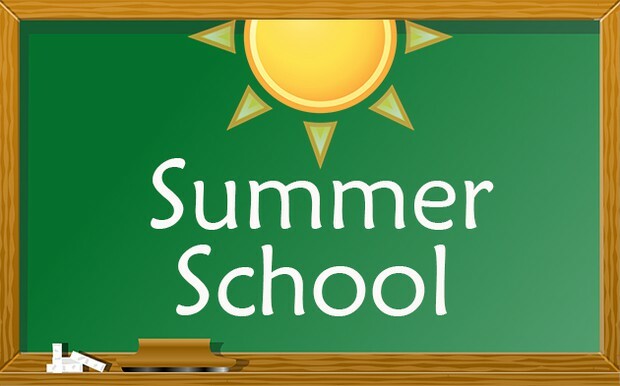 In response to parent feedback, Park Hill Summer School will once again offer a full day summer school program that includes transportation. Applications are due May 11 to make sure transportation is available. 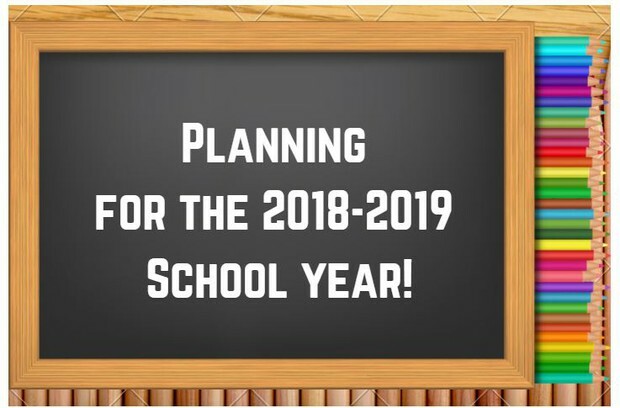 Summer school bus routes and stops may vary from those of the regular school year and will be assigned based on student enrollment received by noon on May 11. Enrollees after this date will be assigned to an existing bus stop. You can also purchase meals for your child during summer school, just as you can during the school year. 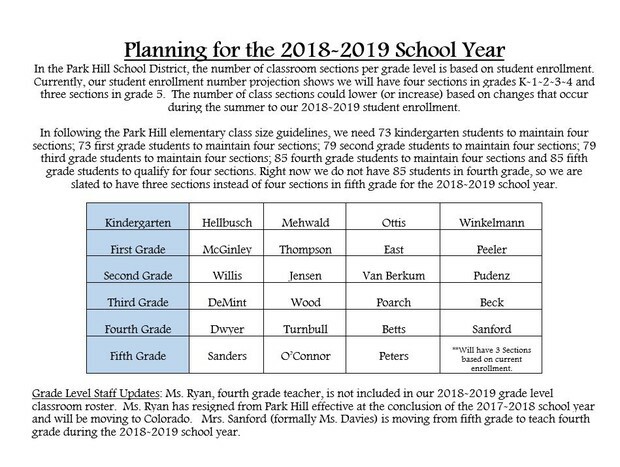 Please complete and return an enrollment form by noon on May 11 to your assigned Park Hill school or to the school your child plans to attend during summer school. 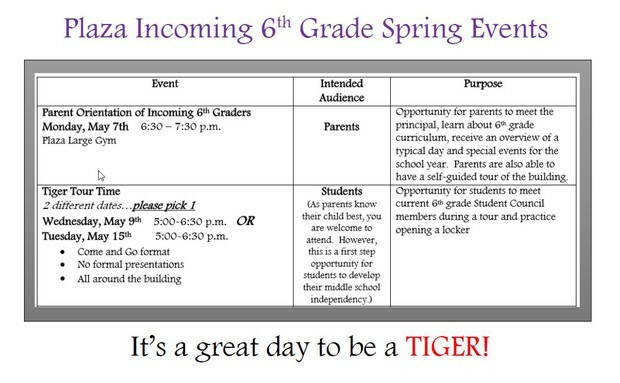 The dates for elementary and middle school students are June 4 to July 3. The first session for high school students is June 4-21, and the second session is June 22 to July 16, with no classes July 4-6. Enrollment opens April 2. 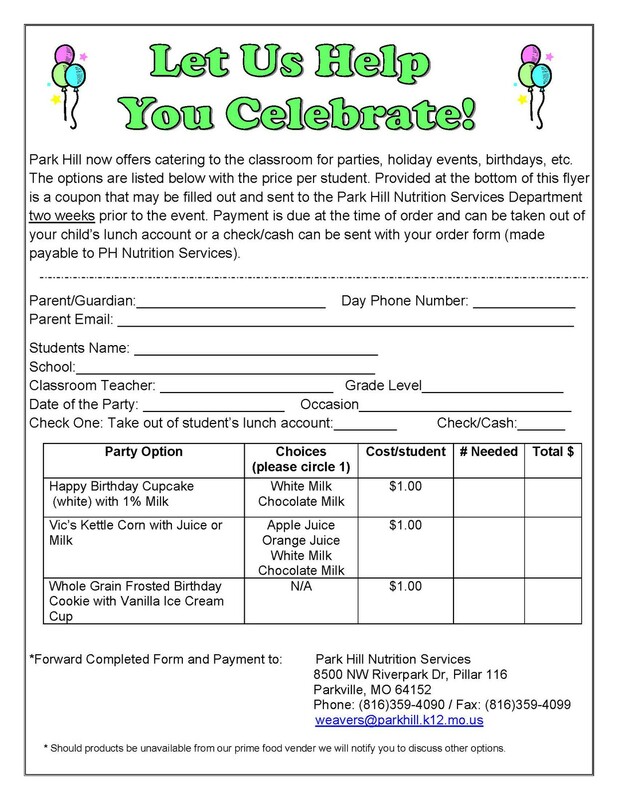 Return this form to your assigned Park Hill school or to the school your child plans to attend during summer school. The boundary locator tool can help you locate your assigned school. Musical NEWS Found on Music Room Facebook Page! 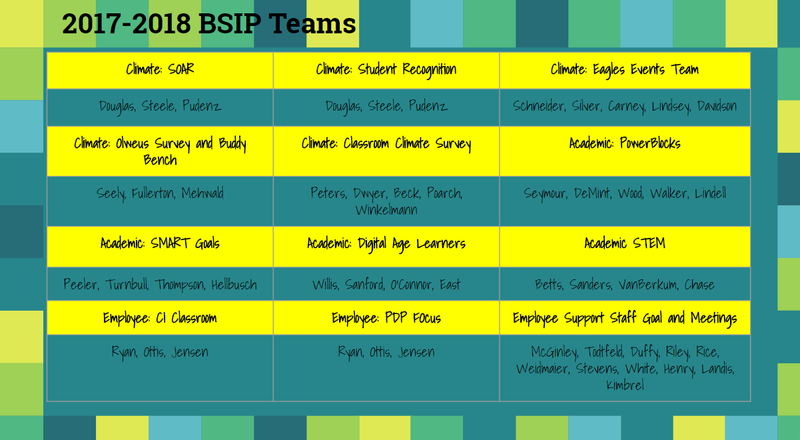 Our employees are the reason we are so successful here in the Park Hill School District, and we would like to recognize them for all they do for our students. That is why we present the Park Hill Star award once a month to a pre-K or elementary teacher, a secondary teacher and a support employee. Anyone can nominate an employee for this award by using the form below. It asks you to share how your nominee demonstrates our district values of continuous improvement, high expectations, integrity, visionary leadership and student focus. You can also share how your nominee supports the goals in our district’s strategic plan. 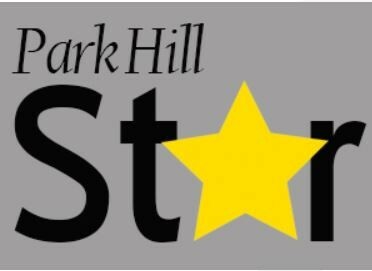 Please nominate a Park Hill Star today! 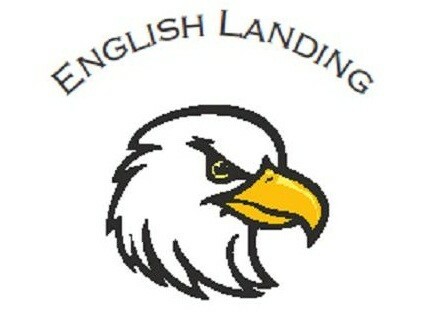 We are happy to celebrate student birthdays and half birthdays (if your child has a summer birthday) at English Landing! To protect the health and safety of our students, families may bring pre-packaged treats to school to share with classmates. In order to address any known allergy concerns, a label listing ingredients should be affixed to the package. Due to allergies and other food intolerances, please consult with your classroom teacher before the pre-packaged treats are brought to school. 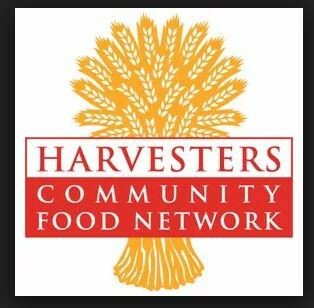 As a healthier alternative, Park Hill Food Service offers a variety of nutritious treats that may be purchased. 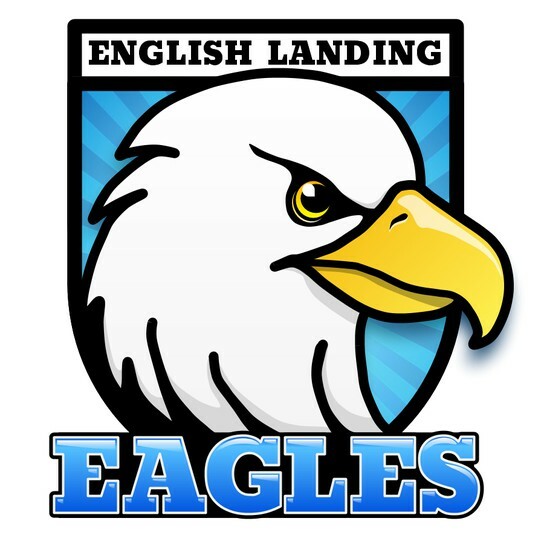 At English Landing we need your HELP! Many birthday treats arrive at the beginning of the school day which provides us time to review the class list regarding food allergies or food intolerances, however, many other birthday treats arrive during lunch and often right at the same time the treat needs to be distributed to students. PLEASE plan on arriving earlier for lunch (at least 15 minutes) to give us time to check the pre-packaged treat ingredients with the students in the classroom who have food allergies or food intolerances. 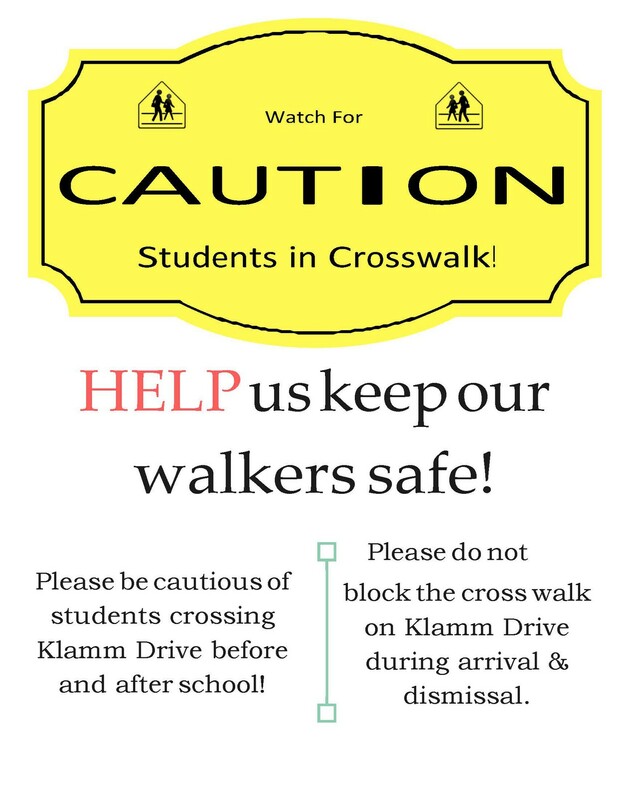 Our school nurse, Mrs. Kimbrel, and office staff, Mrs. Stevens, Mrs. Wood, or Mrs. Melvin, will help with this process so when the lunchroom staff teachers distribute the treat in the cafeteria, additional steps have been taken to ensure we are protecting the health and safety of our eagles. 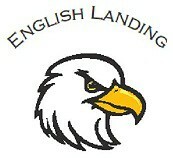 English Landing Eagles S-O-A-R! 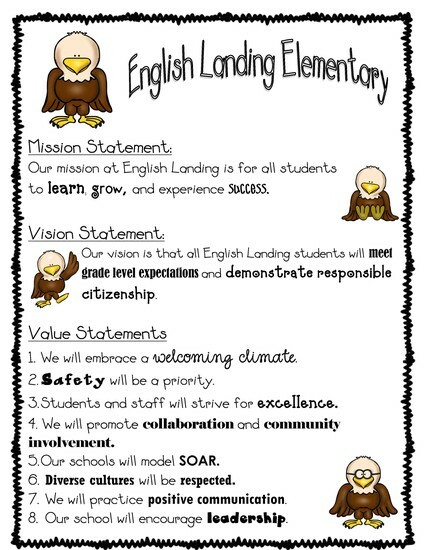 Each Eagle...Every Day! 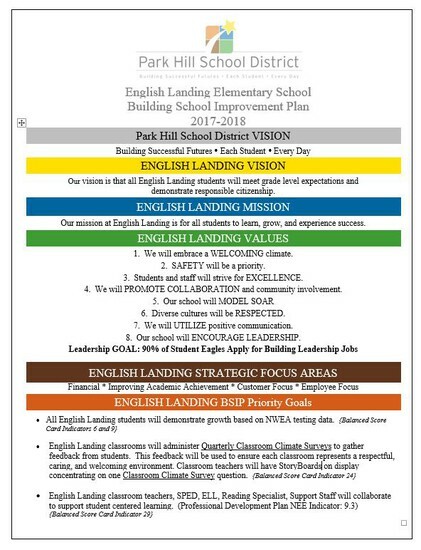 Our vision is that all English Landing students will meet grade level expectations and demonstrate responsible citizenship. 1. We will embrace a welcoming climate. 2. Safety will be a priority. 3. Students and staff will strive for excellence. 4. We will promote collaboration and community involvement. 5. Our school will model life skills. 6. Diverse cultures will be respected. 7. We will practice positive communication. 8. Our school will encourage leadership. Like English Landing on Facebook!